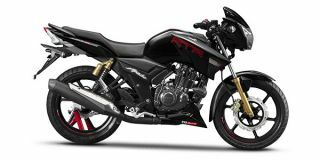 Finally, TVS has officially launched the Apache RTR 160 4V. 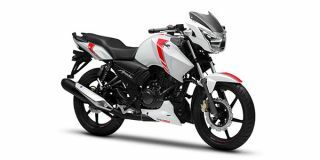 TVS offers 5 Apache models in India. 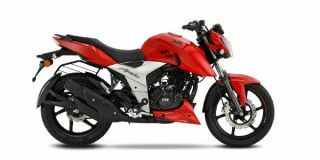 TVS Apache RTR 160 is the lowest priced model at Rs. 78,715 (Ex-Showroom, Delhi) and New TVS Apache RR 310 is the highest priced model at Rs. 2.17 lakh (Ex-Showroom, Delhi). TVS borrowed the technological prowess from their racing motorcycles and watered them down to their production models. As a result, the Apache was born. The Apache became TVS answer to the popular Pulsar series from Bajaj. The Apache RTR 180 is the first and the cheapest bike with ABS available in India. The RTR 200 4V is powered by an oil-cooled engine coupled with a five-speed transmission. Top cycle parts like synchronized stiff chassis, petal brakes, functional aerodynamic cowl used in the Apache ensures maximum performance. Q. Which one is a better option, Apache RTR 160 or Apache 160 4V? In terms of mileage and comfort. Q. I am 5.6 feet in height and planning to buy TVS Apache RTR 160 4V, is it suitable for me? Yeah, it will be comfortable for you! Hight doesn't issue. but when it comes to daily basis you should go to a showroom and have a test drive then decide. Q. Which variant of RTR 160 4v is better fi or the carburetor? Q. I want use this bike for next 15 yeras so can I? If you care your bike like your partner then it can. Q. Is vibration a really problem to Apache RTR 160 4V? Yeah. After a 6 month use u may start feeling vibrations. Q. 5.4 feet Student which bike will you prefer to him to buy 1. RS200 2. Apache RTR 200 4v, ABS 3. NS200, ABS 4. YZF R15 V3 ABS?